A great starter set for the family and perfect for older children and teenagers. 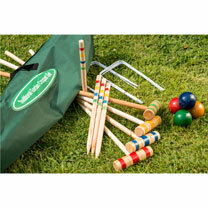 The highly social and popular game of croquet is easy to learn and can be played on lawns of almost any size or even at the park. 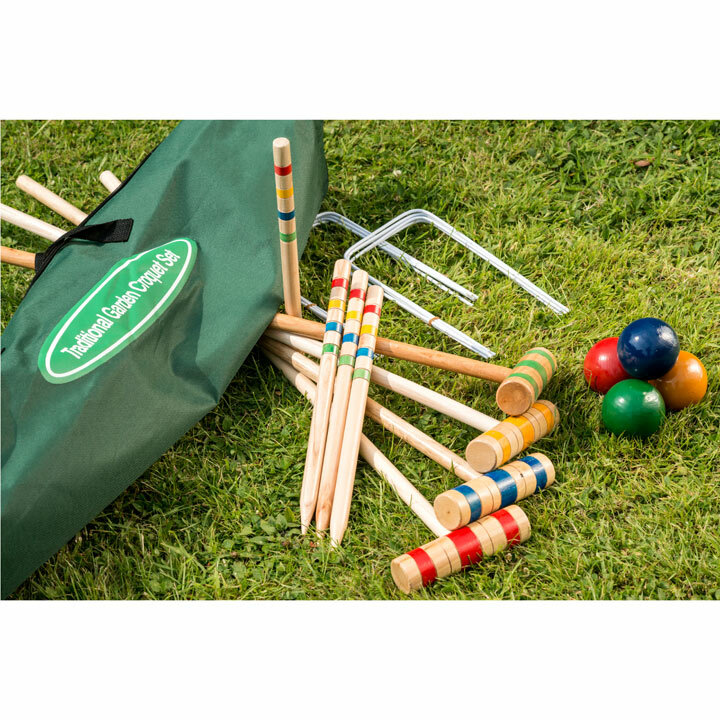 Presented in a quality canvas carry bag, the set is made up of four birchwood mallets in a quality finish, four balls, ten gates and start/end markers. Full instructions. Ages 14+.